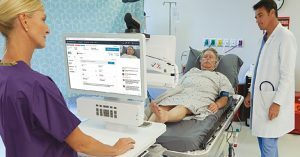 During an American Well-sponsored webinar hosted by Becker’s Hospital Review, Intermountain Healthcare discussed telehealth ROI for urgent care. 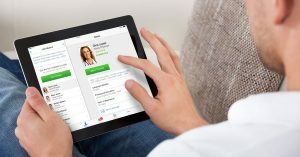 In 2016, the health system partnered with American Well to launch its telehealth service, Connect Care, to enhance patient convenience and care access; cut delivery costs; and retain and recruit patients. Intermountain Healthcare encompasses 23 hospitals, 185 clinics, a medical group and a health plan division called SelectHealth. Intermountain approached its analysis of telehealth ROI from the perspective of an integrated health system. The telehealth ROI study included claims data from SelectHealth and accessed the telehealth program by analyzing each care setting’s episode cost, follow-up rate and utilization rate for labs, imaging and antibiotics. “In the overall total costs, this is where the striking differences are and where we believe that our care we’re giving for those indicated conditions is appropriate. 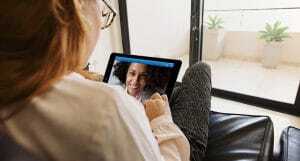 There’s a substantial opportunity for cost savings [in the virtual care setting],” says Dr. Joe Dalto, PhD, telehealth team senior data manager at Intermountain Healthcare. By directing patients with appropriate conditions to virtual care, Intermountain Healthcare sees lower overall health plan cost and doesn’t see a higher rate of antibiotic claims or follow-up care. To learn more about Intermountain’s telehealth ROI study, including the implications for an integrated system, listen to the webinar recording here. Intermountain’s Tim Lovell, MBA, Joe Dalto, PhD, and Jordan Albritton, PhD, share their study results, review the methods used in the study and share Intermountain’s model of defining value for online urgent care visits.